They are so easy to make and this recipe means you can kill two bird’s (pun intended) with one stone in making broth and chicken wings! You know how I feel about meat (if not check this post out) so you can enjoy these with a clear conscious that your doing your body good (well, unless you eat tons of them – your body may not like that!) 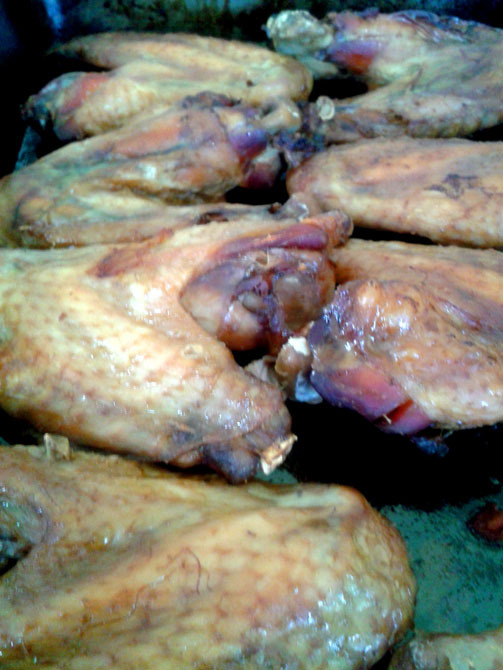 Plus chicken wings are a great budget way to not only make healing broth/stock, but then also feed your family meat. A pack of these 12 cost me about £3 and could serve 3-4 easily, plus 5-6 portions of broth too! Total bargain! 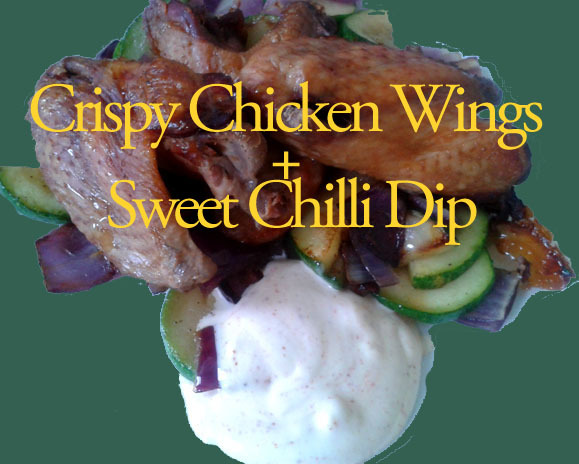 Its hard to make chicken wings look appealing I discovered – but trust me – they do taste good! Meat – not convinced meat is good? Read this. Cayenne pepper – is great for boosting your circulation, is an anti inflammatory, helps with heart burn and is a great digestive aid – plus much more but that is a whole post in its own right! Homemade Sour Cream – is a natural and tasty probiotic, helping with digestion and fighting candida yeast. To make just put a few tsp of your kefir strain or other probiotic yogurt into organic cream and leave for 12-24 hours, until it has thickened. Broth – here is the how and why of broth. Crispy chicken wings with not deep fat fryer in sight! Totally tasty and a great healing comfort food that does only good things for your body. First use your chicken wings to create a broth - recipe given below. Preheat your oven to 120 -140 c, depending on how effective your oven is. The remove your wings from the broth and place on a baking tray and cover with a bit of salt and any seasoning you like - I love them just plain. Place them in the oven for 2-4 hours, the longer you leave them the crispier they will be! Mix all the ingredient together and taste. Make any adjustment according to you personal preference - I have mine spicy but might like yours a bit sweeter so just add more honey. I served mine on a bed of cooked courgette and onions but you could serve it with butternut squash chips, homemade baked beans or some eggs - all would be tasty. What did you eat yours with?